Ever since researchers connected the shortening of telomeres—the protective structures on the ends of chromosomes—to aging and disease, the race has been on to understand the factors that govern telomere length. Now, scientists at the Salk Institute have found that a balance of elongation and trimming in stem cells results in telomeres that are, as Goldilocks would say, not too short and not too long, but just right. "This work shows that the optimal length for telomeres is a carefully regulated range between two extremes," says Jan Karlseder, a professor in Salk's Molecular and Cell Biology Laboratory and senior author of the work. "It was known that very short telomeres cause harm to a cell. But what was totally unexpected was our finding that damage also occurs when telomeres are very long." Telomeres are repetitive stretches of DNA at the ends of each chromosome whose length can be increased by an enzyme called telomerase. Our cellular machinery results in a little bit of the telomere becoming lopped off each time cells replicate their DNA and divide. As telomeres shorten over time, the chromosomes themselves become vulnerable to damage. Eventually the cells die. The exception is stem cells, which use telomerase to rebuild their telomeres, allowing them to retain their ability to divide, and to develop ("differentiate") into virtually any cell type for the specific tissue or organ, be it skin, heart, liver or muscle—a quality known as pluripotency. These qualities make stem cells promising tools for regenerative therapies to combat age-related cellular damage and disease. 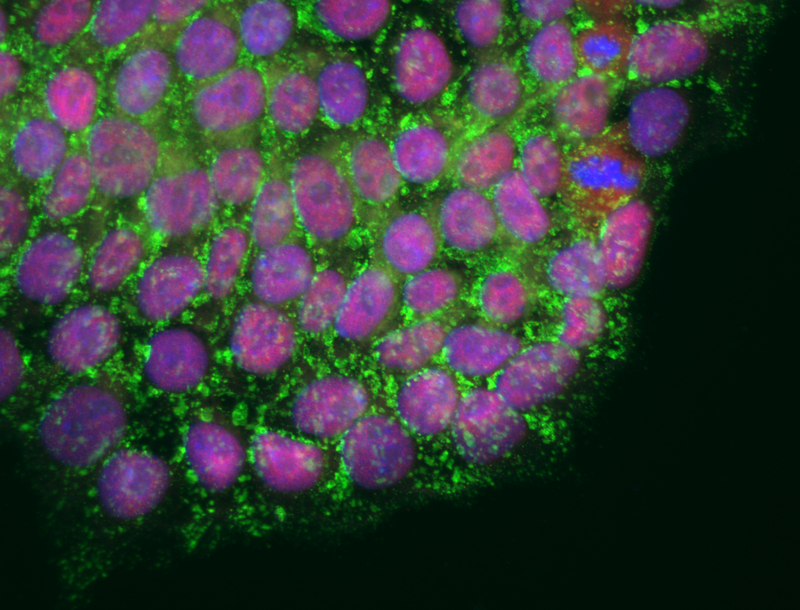 "In our experiments, limiting telomere length compromised pluripotency, and even resulted in stem cell death," says Teresa Rivera, a Salk research associate and first author of the paper. "So then we wanted to know if increasing telomere length increased pluripotent capacity. Surprisingly, we found that over-elongated telomeres are more fragile and accumulate DNA damage." 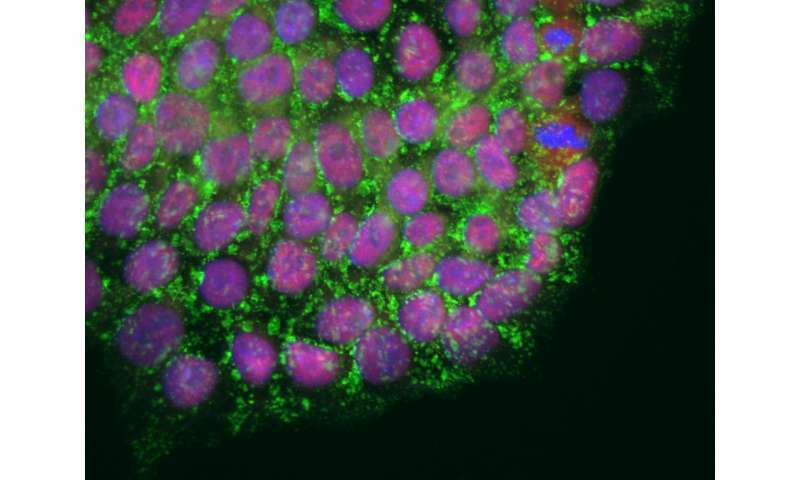 ""We were surprised to find that forcing cells to generate really long telomeres caused telomeric fragility, which can lead to initiation of cancer," says Karlseder, who also holds the Donald and Darlene Shiley Chair. "These experiments question the generally accepted notion that artificially increasing telomeres could lengthen life or improve the health of an organism." The team observed that very long telomeres activated trimming mechanisms controlled by a pair of proteins called XRCC3 and Nbs1. The lab's experiments show that reduced expression of these proteins in ESCs prevented telomere trimming, confirming that XRCC3 and Nbs1 are indeed responsible for that task. "Stem cell reprogramming is a major scientific breakthrough, but the methods are still being perfected. Understanding how telomere length is regulated is an important step toward realizing the promise of stem cell therapies and regenerative medicine," says Rivera.